I am sure that anyone who knows me in person have not missed that I am a huge wrist watch enthusiast. I am pretty sure that I drive my wife insane with all my talk about watches. 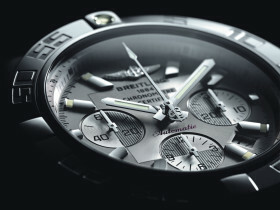 And because I am such a big enthusiast, I very often get the question what it is that makes me so into watches. Why I like watches so much is because of several different reasons. Some of these reasons are easier to understand than others, which is why I do not expect for everyone to understand it fully. In this post I will try to explain why. Before I begin I just want to explain that I see myself as a “SBNR” person, meaning: Spiritual But Not Religious. However, it is not important to me what everyone else thinks of me, you may call me religious or fanatic, I don’t care. Understanding the concept of time can be very complicated and not everyone put much thought into what time really is. To some people, time is just something that tells you when you need to go work in the morning, for how long you have to wait for the bus, or how to measure when your breakfast egg is boiled to perfection. To some people, time is money, and to others time may be the difference between life and death. To me, time is the single most powerful component of all existence. If the concept of time did not exist, nothing else would exist either. Time is larger than universe and larger than the unknown force that some people call god. Even if universe collapsed and ceased to exist, the concept of time would still stand as the only remaining component. Time is the heartbeat mechanism of the universe. Everything in your convenient modern society is based on time keeping. Computers, engines, phones, trains, electricity… EVERYTHING is based on a clock frequency. Even the expansion of universe itself is based on time lapse. Time is a hard concept to understand, because time is both limited and unlimited. Time itself is unlimited and can never run out or stop to exist, while events in life and other existence can in fact run out of time. Once you understand this, you may also realize that universe is very limited in time, and just a temporary state of something that is much bigger than universe. Yes, I realize that it is hard to imagine something that is bigger than universe or even imagine that universe is in fact not endless. I could keep going on this philosophical track, but for now I think I have given you a small seed of thoughts on what time means to me. Wrist watches is my favorite time keeping device because it is symbolic of what time means to me. I prefer the analogue and fully mechanical watches as I am totally fascinated by the delicate and complex, yet reliable construction some movements offer. I also see a symbolism in taking care of a mechanical watch, winding it to make it run, because it reminds me that if you stay passive in life, no progress will be made. Last but not least, I think that a wrist watch can be a nice piece of design jewelry. I appreciate a well built and nice looking watch as an accessory, but also as a symbol and statement of who you are. I love the variety of materials, designs and finishes and I find great enjoyment in studying other peoples watches that they wear, and try to figure out who they are and why they picked that watch in particular. A persons watch tell a lot about their attitude and standing in life! My only problem with this hobby of mine is that some of the nice pieces that I am interested in costs ALOT of money! I hope that some of this makes sense to whom ever might read it. Even though time is unlimited, don’t forget that YOUR time is limited. Make the best of it! What does time mean to you? ← Part 2: HRT Stage, a compact audio system with high-end capabilities? Nicely written Johnnie! A well concept and evaluation of time and its meaning. I see time as a measurement in life. There are many tasks, responsibilties, errands, interests, work and daily activities that requires time to perform. Not only it sets deadlines for me to complete and accomplish my short & long term goals, but it also keeps me on my toes as everyone has only 24hrs a day limit to achieve their daily tasks. Time IS endless, but everyone’s time is limited. I often see people lazing around, not doing their work properly, making excuses just to cruise & enjoy chilling at their own pace; surprisingly those are also the people who are envious, jealous and blame the world when they see successful rich people enjoying their lives. True, not everyone can be rich, famous, and live a luxurious life; but at least try your very best to achieve them with the limited 24hrs you have everyday. Unless you win the lottery, money doesn’t pile on you overnight. It takes days, weeks, months, years, decades to accumulate wealth… and every 24hrs you make good use of = a closer step towards success. I’ve been wearing watches on a daily basis since 2nd grade, and I feel naked without one on my wrist. I have the appreciation of timepieces (no matter cheap or expensive) and am lucky to find so many people with similar thoughts. Some people often say “dude, it’s just a watch, it’s there to tell the time and that’s it! Get a digital watch or a quartz watch! Why wear something that costs more than a car? !” Well, everyone has their own perception of timepieces, so therefore my answer to them is: “why do people drive nice cars? A car is just a vehicle to get you from point A to point B! You have an appreciation for cars as I have for watches, it’s just the same, depends how you view it”. For me it’s the design, the thoughts placed into it, the craftsmanship, details, engineering, history, and art… Each original timepiece is a masterpiece in it’s own right. Everyday of the week is a hectic day for me and most likely I check the time 100 times a day to makesure I’m on schedule. Although I’m always busy, I often love to relax & enjoy watching the magic work upon my wrist and zone off for a minute or two.